Well ok… don’t get too excited. I haven’t figured out a way to earn 55% on WSOP.com in Nevada. In fact, I won’t even be getting 55% the entire month, but for about the first 15 days, I will be earning 55% in rakeback due to a stacking of some of their promotions. 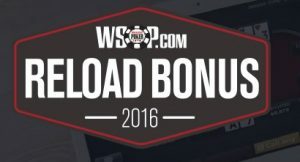 The first Promo is the 2016 WSOP Reload Bonus. This is a match deposit bonus that anyone can earn. It started at the beginning of the Live World Series of Poker at the Rio and will end next April. The bonus earns at a rate of 20%. 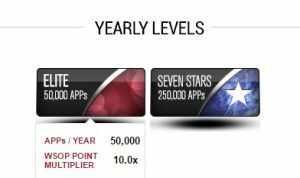 I’ve already earned some of this bonus and will finish it in the middle of the month, so the rest of the month will be at 35% rakeback. 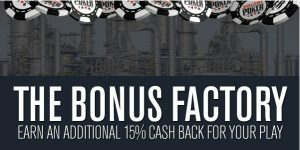 The Bonus Factory was a promo that began early in the year. It allowed me to play a certain amount in an early month and receive cashback in a later month. Unfortunately, due to an email mishap, I only managed to qualify for August. But I’ll take it… that’s another 15% rakeback for the month. That’s my standard 20% rakeback. Let’s be real… 20% rakeback for a regulated online poker site with no competition is pretty generous. My standard rakeback due to reaching Elite status in 2015 is a nice 20%. I can convert it to cash or to reward credits at a Total Rewards resort (a better use if you are eating there as you can avoid taxes). In all, the 3 bonuses for the first part of August will reward me with a rich 55% rakeback. I’ve been more than satisfied with the offers wsop.com is making available to their regular players. Don’t expect to not see me grinding the online felt this month!